Like all great disruptive technologies, VR has begun to establish itself in a way that makes business leaders … uncomfortable. They’re hearing more about it. They’ve had clients mention it. They’ve heard their competitors are trying it. They just haven’t got around to doing anything about it … yet. If current predictions are correct, they will. And when they do, they’ll likely have questions that sound something like the ones below. So we’ve put together an outline of VR basics to get you up to speed. What’s the difference between AR, MR & VR? Augmented Reality or ‘AR’ works through a smartphone or similar device simply overlaying digital information onto an existing environment. Traditionally the digital content being viewed only interacts with the real world in a superficial way, if at all. Within perhaps the most famous current example of AR, Pokemon Go, the content (i.e. the Pokemon characters) only react to a smartphone’s GPS location and direction meaning that whether a player is standing in front of a bush or in an open field, the character’s appearance on the screen remains the same. With limited functionality, AR has, up to know, found very few truly sticky business applications. In contrast, Mixed Reality or ‘MR’ is the merging of real and virtual worlds to produce new environments and visualizations where both physical and digital objects co-exist and interact with one another in real time. Using the Pokemon Go example, were that experience to in Mixed Reality, the characters could do things like hiding behind bushes instead of just being effectively painted on top of them. Similarly, in a retail application using Mixed Reality, a user who was looking to understand how a piece of new furniture might look in an existing room, could place it virtually where they wanted it and it would stay in position as the viewer moved around it. 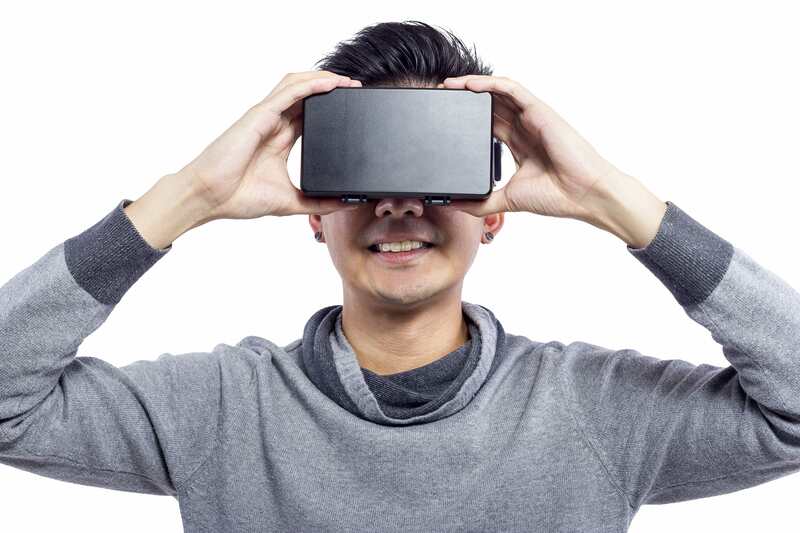 Virtual Reality or ‘VR’ is a fully immersive, 360-degree digital environment that users can interact within a seemingly real way with the help of an electronic headset. It is designed to fully replace anything a user will see with their own eyes and therefore, where VR could be used to virtually transport someone underwater to experience swimming amongst dolphins, AR could theoretically help them study a dolphin while standing in their kitchen and MR could have that virtual dolphin jump out of a travel advert in their favourite magazine. There are some VR basics we’ve encountered over out thousand hours of user testings, and one of the big discoveries is that most strong executions of VR fall into one of three key categories: VR is great for showing something that doesn’t exist yet – think, placing someone within a new home or condo that’s yet to be built, let them sit in a concept car before it’s hit the production line, or hey, have them experience a vacation on the moon. There are literally no limits. VR can show off something that exists but is a long way away or somehow inaccessible – think about transporting someone into the heart of a major sporting event, enabling them to visit Paris without getting on a plane, or take in the views from a remote trail they might never otherwise be able to get to. VR is perfect for modeling something that is too large, complex or expensive to model in the real world – think about allowing people to choose their perfect combination from the limitless possible permutations of features, options, and colours available in a new car and virtually experience them immediately, or, in the case of Yulio client, Diamond Schmitt Architects, allowing their client Ingenium to get a true sense of the scale of an enormous new building being designed as part of Canada’s Science and Technology Museum – feel free to read more about that here. 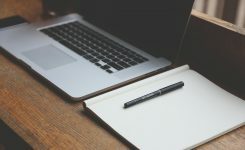 Checking any ideas for possible business applications of VR against these categories can go some way in helping to make sure they’re going to offer customers a unique experience and inspire them into taking the action you’re looking for. How would we create content? 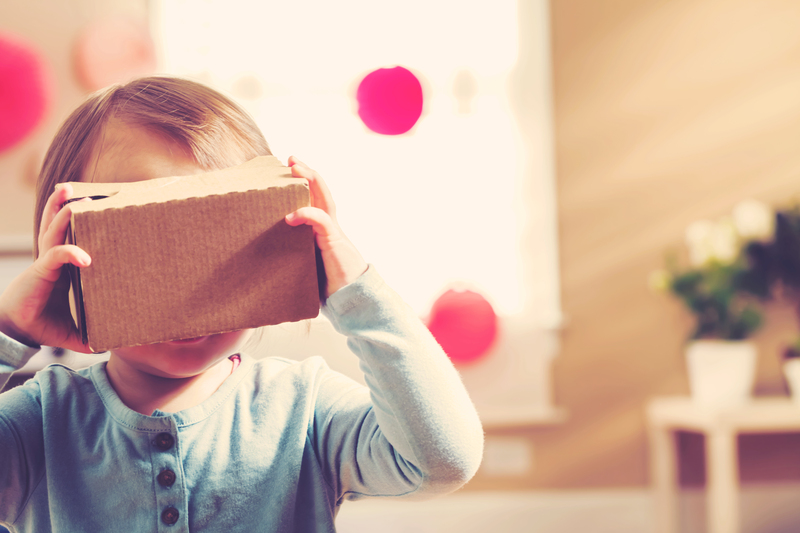 The best methods of creating VR content will vary depending on the eventual application. For those in architecture, interior design, construction, etc, who are already using computer design technologies, VR authoring can be a matter of a couple of extra clicks from your CAD programs to create basic VR experiences. These can then be easily shared via a link or embedded into websites with a simple snippet of code. Using 360-degree cameras to capture footage and software packages such as videostich to assemble it is an option but, for most business users, with a level of complexity far beyond the relative ease of traditional video capture and editing, this do-it-yourself route is commonly less popular. For more elaborate and adventurous applications of VR, it’s well worth consulting one of the growing numbers of specialist agencies who can provide expertise in, not only in the validation of an idea but in the creation of the content ensuring it hits the mark where, when and precisely how it’s meant to. Do we need to start using it now? The short answer is, yes (it’s the same conclusion the long answer gets to in the end). Why? Because you’re still early enough to be an early mover in an industry that’s making major moves. 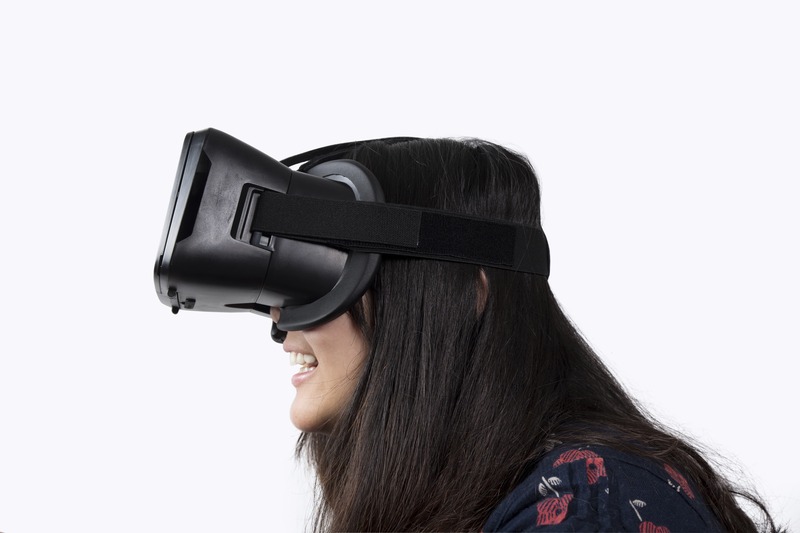 Most organizations are still wrapping their heads around VR basics, but they are moving. And you don’t need to take our word for it. Here are some stats; Approximately 75% of the companies on the Forbes’ World’s Most Valuable Brands list have developed or are in the process of developing virtual reality experiences for their customers or their employees, according to an October 2015 survey. There are already an estimated 43 million people using VR technology and that figure is set to double next year and double again the following. According to a Greenlight VR consumer survey, of those that try VR, 79% seek it out again and 81% claim they tell their friends about the experience. The most frequently used word about VR? “Cool!”. Enough said. In the same way that the best method of creating content depends on the application it’s needed for, the best VR software and hardware will depend on how and where it’s going be used. 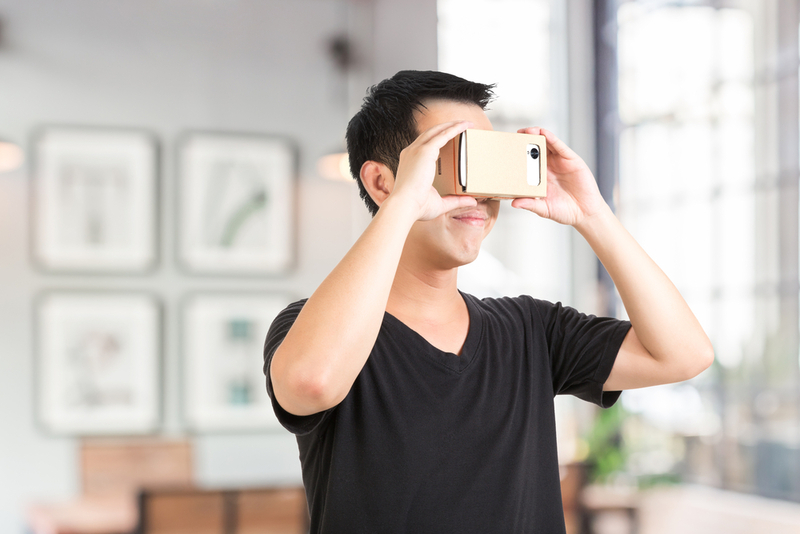 Using mobile VR as we do at Yulio, the technology required to deliver an experience to a client, colleague or customer starts with a user’s smartphone and around $15 for a cardboard headset or simple plastic Homido viewer. For an impromptu demonstration of a design portfolio or to get a quick thumbs up from a client on a recent round of design iterations, this is literally all that’s needed. And they are still, for many companies the building blocks and key entry point into VR. Getting your hands on a few of these are key to your VR basics strategy. There are a rapidly growing number of technology options now available for VR content creation, publishing, and viewing. Each of these range in price, quality, practicality, and mobility. For a more detailed look at viewer options, feel free to read our recent post on tips for choosing the best headset. 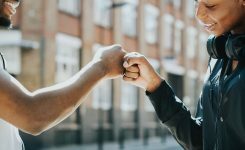 With technologies changing fast, the secret is to pick a solution capable of adapting to changing viewing habits and also able to handle the ever more ingenious applications your business will inevitably think up to throw at it. 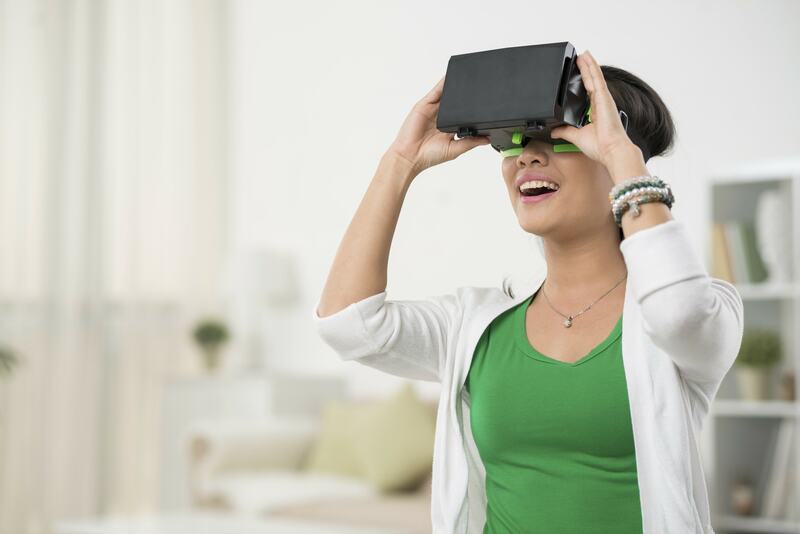 Take these quick notes a step further and wow your boss with your expertise when you take our free VR course, and download our state of the industry presentation. You’ll be a VR star in no time.